Is the task of a business limited to selecting a market research agency and letting them handle the rest? 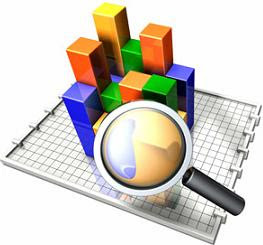 It is true that it is the task of the agency to complete the market research project. However, it is also true that the successful completion of the project is achievable only when the appointed and the appointer work together with a collaborative approach. Here are the steps that can help a business keep involved in the market research project. Step 1: Define your internal team. If it is a comparatively small and simple project, a single individual can handle the tasks associated with it. However, if it is a huge project involving complex methodologies and diverse deliverable, it is best to assign a team of in-house professionals to work with the market research professionals from the agency. The indispensable elements of your internal team include the person who handles the day-to-day tasks related to queries, comments and approvals, the person who brings in industry-specific expertise to the team and the person who has the authority to make decisions with regard to the project management. Step 2: Identify your roles and responsibilities. The business and the agency must work as partners to chalk the path to success. Before the work begins, determine how you can stay involved throughout the phases in the market research project. You can help determine objectives, approve content priorities and decide success criteria. Working with the agency on the market research project has its benefits. You can bring in industry-specific knowledge to the project. It is also easier to monitor progress and keep a check on whether things are moving as planned. You can also find out any potential problems at the earliest if you are involved in the process. Step 3: Determine the escalation process. A new business sees even a little delay in questionnaire development or data collection to be a cause for concern. It may not always so. However, it is important that you prepare in advance for any challenges that the project may face at some stage. Make sure you clarify to the agency whom, when and how to report to in case of a challenge. Assign the responsibility to someone who can handle the situation and take the right step at the right time. Also, ask about the escalation process of the market research agency. You need to know whom to report to in case of any problem. Step 4: Focus on the agenda at the kickoff meeting. After you have worked out the preliminaries, it is time for the kickoff meeting. For a simple project, a video conference can do. For a complex project, an in-person meeting is essential. A competent agency uses this opportunity to establish a relation with the business. The agenda at the meeting usually covers formal introduction and role determination, discussion of objective, methodology and sampling plan, identification of client-side requirements, decisions about deliverable based on examples and a session on research content brainstorming. Step 5: Keep track once work begins. You need to check the project schedule that the market research agency provides at the end of the initial meeting. It would have the approximate dates on which the agency achieves key milestones. It would also specify the steps where it would need the help of your internal team. Pay attention to every date mentioned in the schedule. If a significant step requires the involvement of in-house professionals, make sure they are available on the specified dates. Monitor the way the project is progressing on a daily or weekly basis. If there is a cause of concern, get in touch with the agency and try to resolve the issue. With a little effort, the success of the market research project becomes achievable.